Dessen was created in 2003; we make car fresheners. During these years the Dessen team have made a great effort to give answers to the different necessities of our customers. 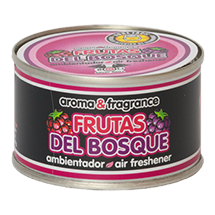 Expanding our line of fresheners in a careful way and applying the maximum standards of quality, we have gained a variety of fresheners with original Spanish ingredients that have satisfied all those who have tried it. 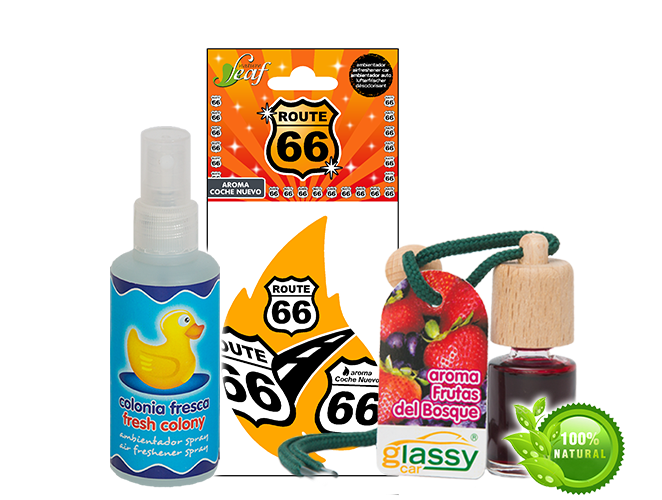 The car freshener is a promotional item that has resulted to be innovative and versatile. The visual impact of our attractive designs together with a careful selection of fresh and natural scents turns our products into nice company gifts. Our objective is to satisfy our clients with their needs. 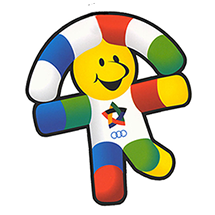 In order to do that we count on a highly qualified design department which, with no commitment, will provide the necessary prototypes and mannequins to have a close idea of the personalised car freshener with the image of the desired company. Ecological fresheners of cellulose elaborated with scents and fragrances of first quality. Their varied and exclusive selection of scents and an extremely looked after process provide a perfect combination of quality and design. 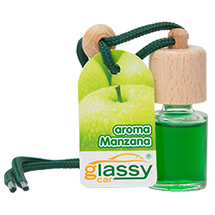 Is a freshener in the format of a small glass bottle with 7 ml of capacity. It contains a plastic twist that ensures greater security to hold the bottle. It is composed by 10 fresh and natural scents and is presented in attractive containers of 70 units that enable a perfect view of the product. Its soft and fresh aromas with a wide variety of fragrances make this spray will become an indispensable and ideal product for your car. The easiest and fastest way to perfume your car. Is an attractive tinned freshener with an organic base that comes in bigger size, which results in a longer lasting duration. It is manufactured in aluminium with a coat of porcelain, which ensures its perfect conservation before its use. It contains an interior security grid for child safety.